Choose from a large selection of Electrolux Dishwasher Dispensers. Price match guarantee. Next day UK delivery. Genuine spare part suitable for selected John Lewis dishwasher. 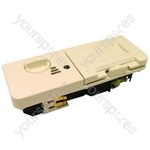 Genuine spare part suitable for selected Electrolux dishwasher. This item replaces product numbers: 9112756, 8996460845804, 56460845813, 8996460841605.Genuine spare part suitable for selected AEG dishwasher. Genuine spare part suitable for selected Electrolux, Aeg Electrolux and Zanussi-electrolux dishwasher. This item replaces product numbers: 1115750604, 1115750612.Genuine spare part suitable for selected Electrolux and Zanussi-electrolux dishwasher. 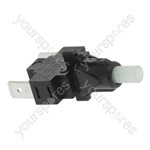 Genuine spare part suitable for selected Electrolux, Parkinson Cowan, Arthurmartinelux, Zanussi, unknown and Husqvarna Electrolux dishwasher. Genuine spare part suitable for selected Zanussi, Bendix, Tricity Bendix and Zanussi-electrolux dishwasher.